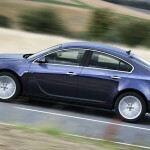 Opel has added a twin-turbocharged diesel engine option to its Insignia range. 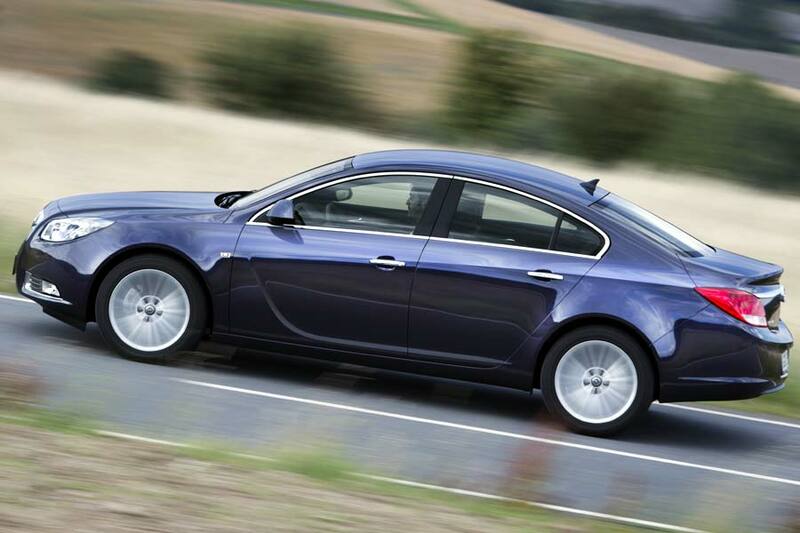 The new 2.0 BiTurbo CDTI engine develops 143 kW (195 hp) and 400 Nm (295 lb-ft) of torque, which helps the Insignia to crack 100 km/h (62 mph) in just 8.7 seconds and has a top speed of 230 km/h (143 mph). Equally impressive is the fact that the front-wheel drive notchback model uses just 4.9 litres of fuel every 100 kilometres and has a CO2 emission figure of 129 g CO2/km. 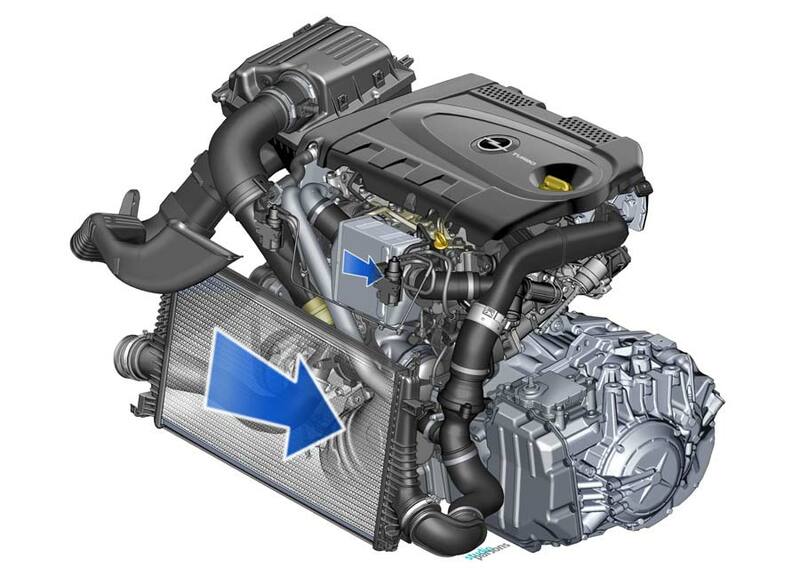 The engine uses innovative sequential double-turbo technology – a first for diesel-engined cars in this mid-size car segment – which sees two different sized turbochargers set to activate at different engine speeds working either separately or together. The smaller (primary) one spools up quickly at lower engine speeds, while the larger turbocharger kicks in mid-range, providing a seamless increase in power – with minimal lag. 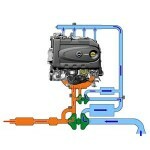 From around 3000 rpm, all the engine’s exhaust gases flow directly to the larger unit. 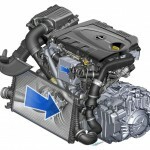 Another new feature is the company’s “twin cooler system” which means the smaller ‘charger uses a water-cooled intercooler to keep temperatures down, while its big brother is cooled by a more substantial, conventional intercooler. 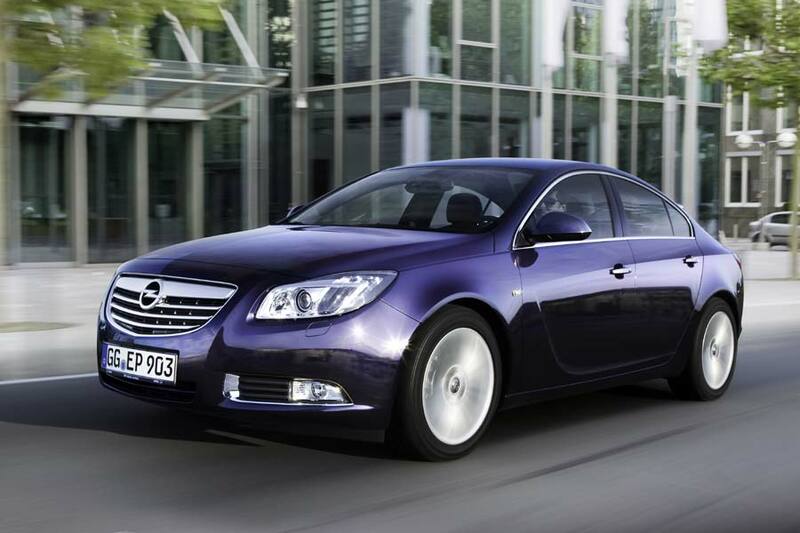 As an optional extra, all versions specified with four-wheel drive can benefit from the SuperSport chassis – a system usually reserved for the top-of-the-range 325 hp (239 kW) Insignia OPC (Opel Performance Centre) model. This package include the FlexRide system with electronically adaptive damping, HiPerStrut (High Performance Strut) front wheel suspension and a high performance Brembo brake system.